The location of the upcoming "invisible service" hotel, Lokal Hotel, in Old City. Good news for those visiting Philadelphia who hate dealing with people. 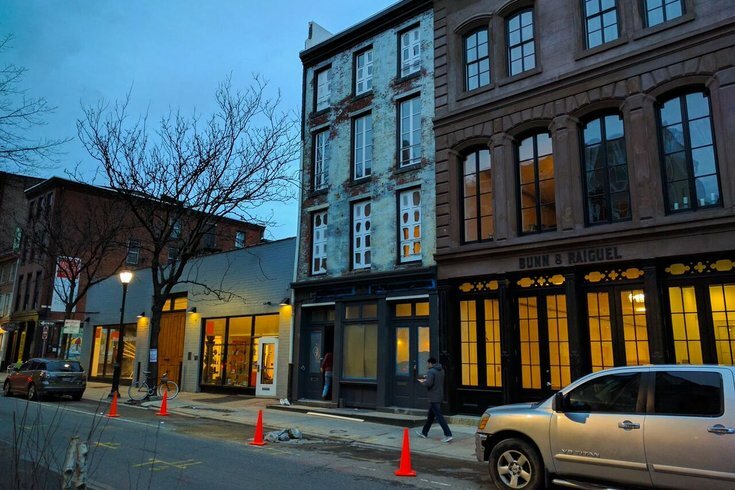 The city's first "invisible service" hotel is set to open in Old City. Located at 139 N. Third St., Lokal Hotel is slated for a March launch and will feature six suite-style apartments inside a historic property that used to hold a printing gallery, according to a press release. In doing away with many of the trappings of a traditional hotel, Lokal seeks to provide a unique connection with the city without sacrificing the comfort and care travelers expect. As part of this commitment to the experience, Lokal will provide carefully curated, in-room guide books, offering guests local dinner, drink, shopping, and adventure recommendations, which will give unique and honest insights into the city and the neighborhood. Bookings for both long- and short-term guests will begin sometime later in February. You can find more information on Lokal Hotel on its official website.